This phrase is a promise that you will pray for someone. In many hard situations, that is the only promise you can make. This is often said when parting from a friend in need. The first word is a contraction in Creole. The personal pronoun “MWEN” plus the continuous action indicator “ap” is contracted to “M’ap.” Depending on context, it usually means you will continue to pray for someone. 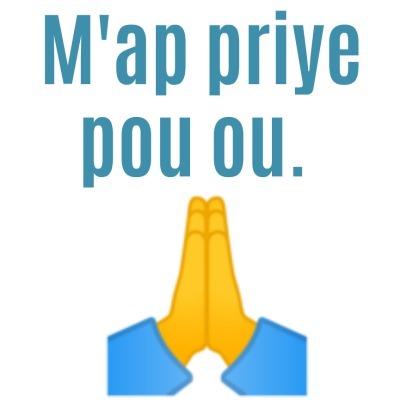 How do you say “I am praying for you” in Haitian Creole?